Philadelphia’s larger-than-life memorial to Benjamin Franklin sits on a white marble pedestal in the rotunda of The Franklin Institute. Crafted between 1906 and 1911, the 20-foot-high (6-meter-high) statue is the centerpiece of the famed Memorial Hall. It’s a must-see for anyone interested in learning more about Philadelphia’s favorite founding father. Modeled after the pantheon in Rome, The Franklin Institute’s rotunda measures 82 feet (25 meters) in length, width, and height. The statue of Benjamin Franklin sits in the center, under a self-supporting domed ceiling and surrounded by decorative marble columns and pilasters.  It was designated the official national memorial to Benjamin Franklin in 1972. Visit the Benjamin Franklin National Memorial independently or as part of a Philadelphia sightseeing tour. Guests can enjoy a short multimedia show about Franklin’s role as a statesman, civic leader, writer, inventor, and scientist. The Benjamin Franklin National Memorial is a must-see for history buffs. No admission fee is required to visit the memorial. Don’t miss the multimedia show that plays throughout the day. The memorial is accessible to wheelchairs, and offers restrooms and parking. There are several ways to reach the Franklin Institute, located at the intersection of 20th Street and the Benjamin Franklin Parkway in Philadelphia. Most visitors arrive as part of a hop-on hop-off sightseeing tour or by public transport—SEPTA bus routes 32, 33, 38, and the Philly Phlash stop within easy walking distance of the memorial. 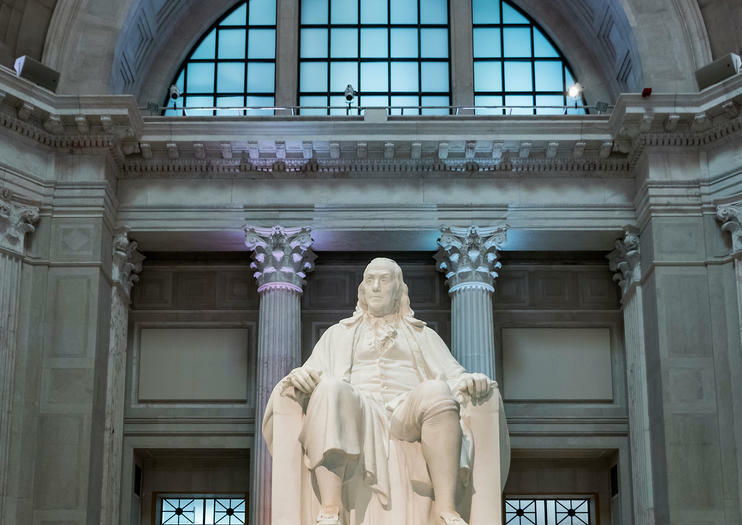 The Benjamin Franklin National Memorial is open at all times during The Franklin Institute’s general museum hours, and there isn’t really a bad time to visit. The memorial is closed on Thanksgiving, Christmas, and New Years Day. At The Franklin Institute in Philadelphia, visitors can learn about Benjamin Franklin’s life and see his most significant scientific discoveries. This kid-friendly interactive science museum has exhibits on virtual reality, augmented reality, climate change, outer space, the human brain, and more. There’s also a planetarium, an IMAX theater, and escape-room games.